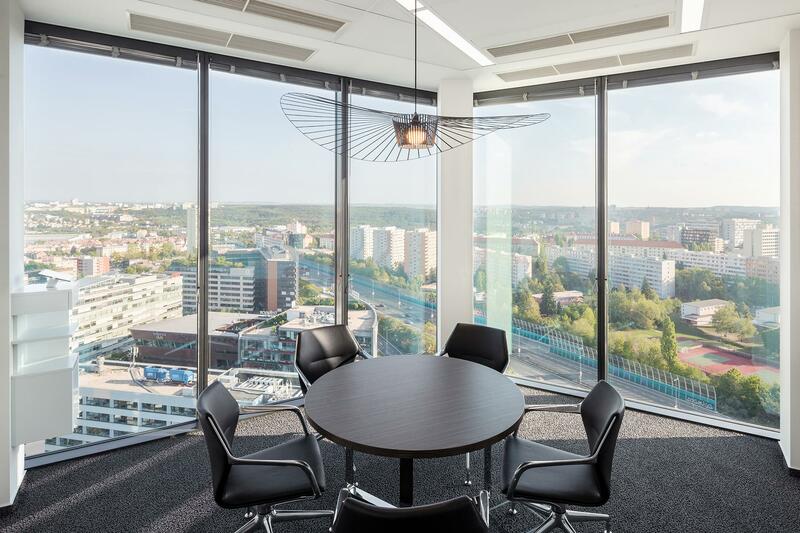 CAPEXUS renovated and expanded the offices of Passerinvest Group, a leading Czech developer and investment firm. 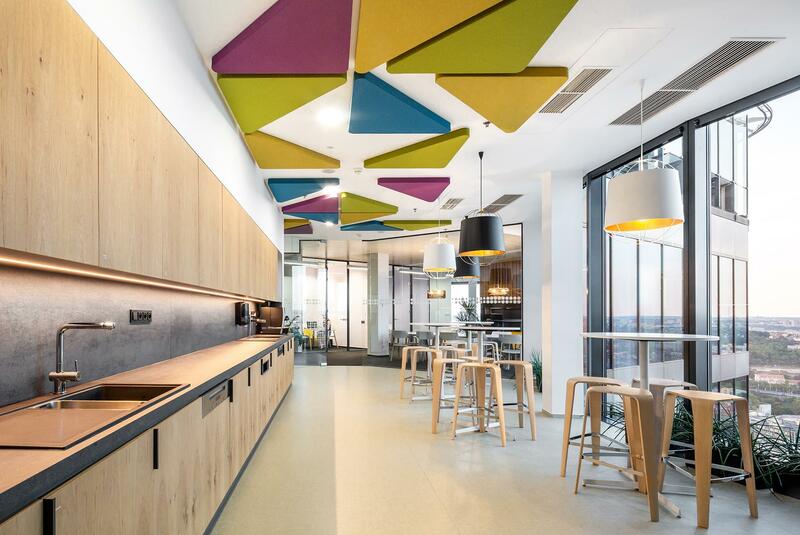 Located on the 17th floor of the BB Centre's iconic Filadelfie building, the office impresses with its unique views of Prague, playful acoustic panels by SilentLab, and a massive custom-built reception desk. 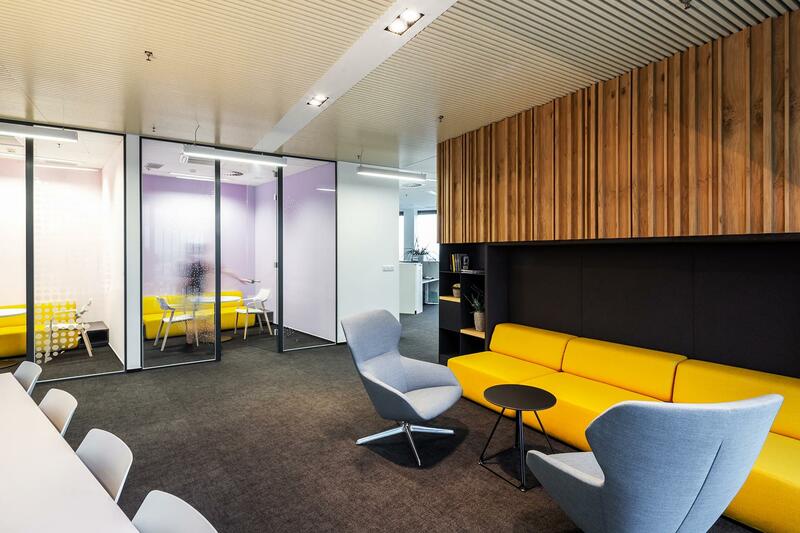 The revitalization took place while the office was in full use, meaning the task of our project manager was to plan the work in such detail that Passerinvest's employees and clients would not be disturbed. The reconstructed office has provided a comfortable working environment for employees. 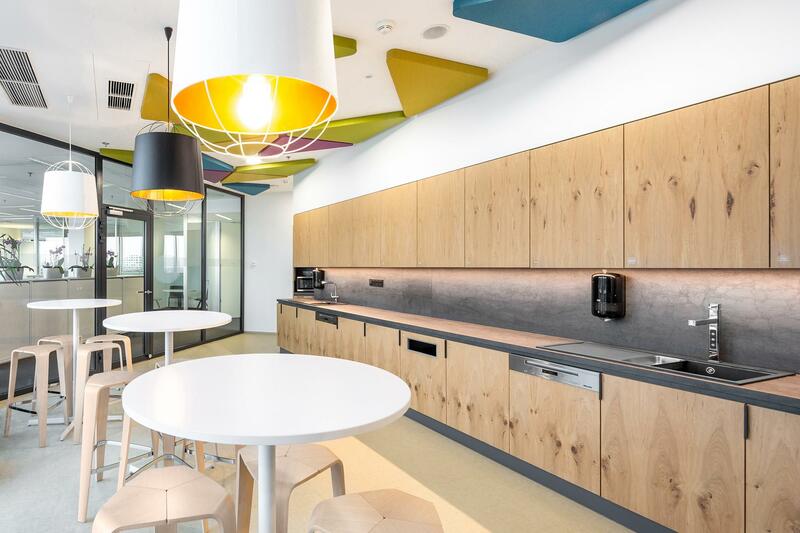 CAPEXUS installed soundproofed telephone booths, and built rooms for informal meetings, a kitchen and a relaxation zone. 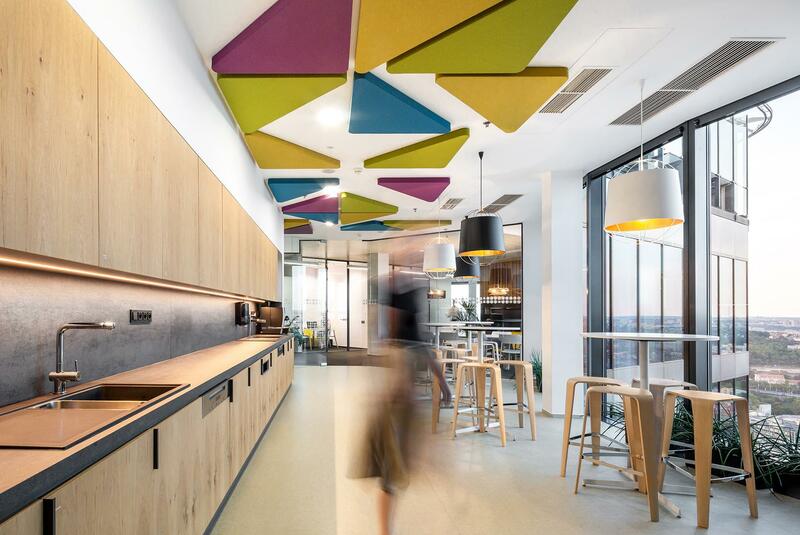 In the kitchen, architect Tereza Kondělková designed colourful acoustic panels to decrease reverberation times, thus reducing noise. 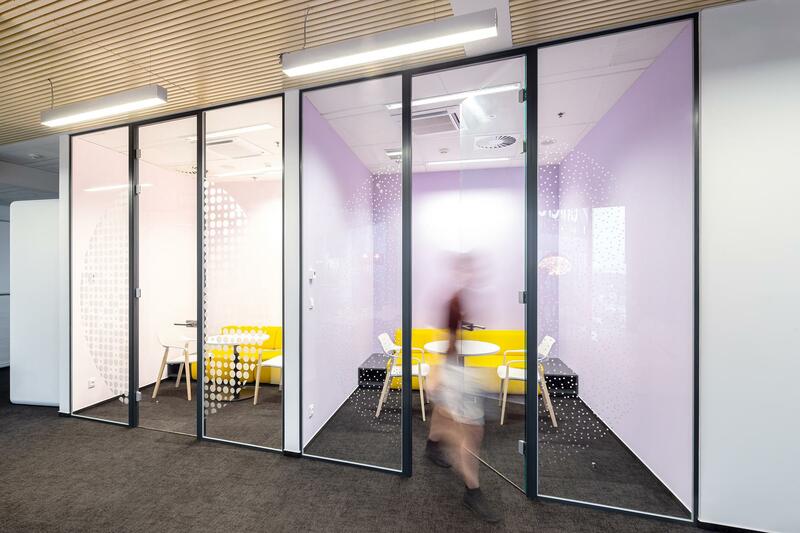 Tablets were installed in the meeting rooms that allow lighting, temperature and projection technology to be controlled through an application. 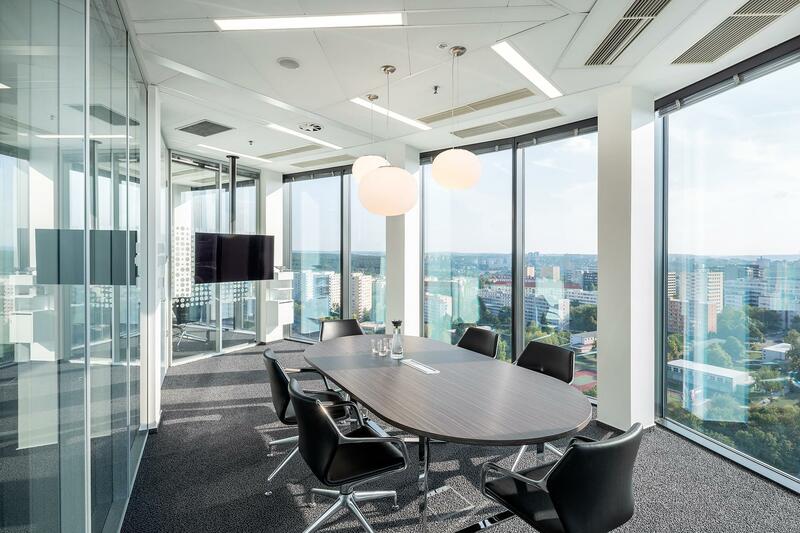 Through the intercom it is possible to communicate with the reception and the reservation system for internal and external meetings, which is fully synched with the employees' calendars. 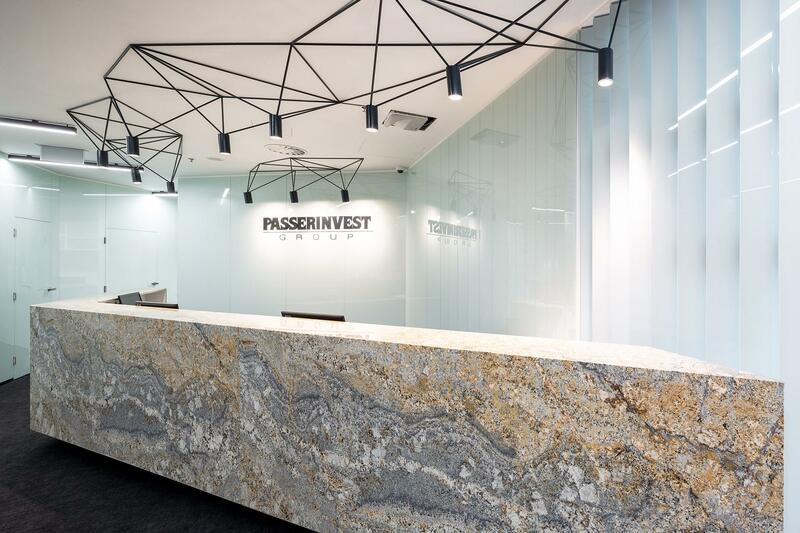 Emphasis was placed on the prestigious reception area, dominated by a massive custom-built reception desk made of natural stone chosen by the investor. The walls are lined with lacobel glass on which images are projected. The space is complemented by atypical lighting that provides plenty of illumination directed at the workspaces of each receptionist.